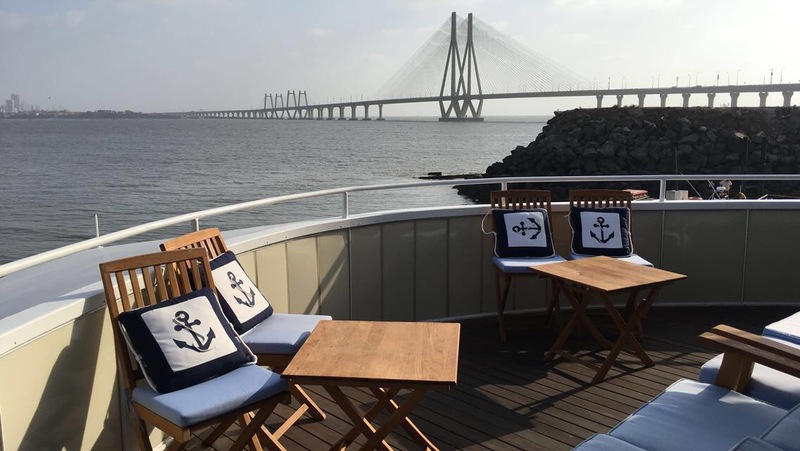 Have You Been To India’s First Floating Restaurant? Brainchild of young entrepreneur Aishwarya Bhende, the concept took a painstaking three years to realise. “I’ve grown up travelling the world and was on something like this (floatel) when I was as young as 1! I’ve always wanted to bring that back to this country,” she gushes. Aishwarya’s parents – Chetan and Manju Bhende – were wholly on board for this venture. While her father took on the job of sailing through a whopping 108 permissions to have this project up and running, her mother helped with the entire design and layout of the space. “We got this ship from the US. There was no architect involved, so there were days when I would be here with a measuring tape trying to figure out how to furnish the place, while twelve different books on wallpaper design would be sitting at home waiting for approval. We wanted to keep it simple and reflect the aesthetic of the seaside. Our restaurant is swathed in colours of blue and white. Even our crockery is designed and manufactured from scratch,” she explains. The effort comes through as we walk into the 24-hour coffee shop (opening in September) to the banquet on level two that leads to the restaurant, and finally, the sky lounge. 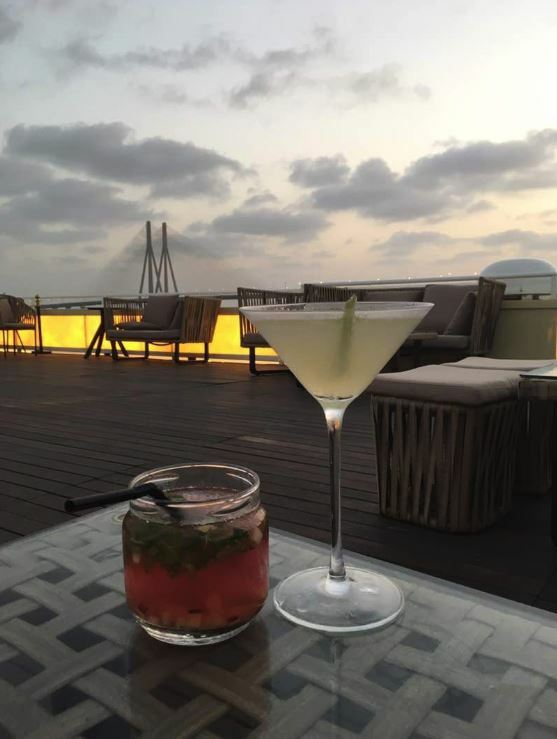 With a view of the Mumbai skyline, this is best enjoyed during sundown. We got a chance to sample the delightfully-named cocktails – tidal wave and celestial sand-gria, which worked wonders in this weather, but what really stood out was the lemon grass peach martini. Making our way through a variety of smaller dishes, our taste buds were happiest with the transatlantic, which had avocados, feta, and mushrooms resting on slices of focaccia. 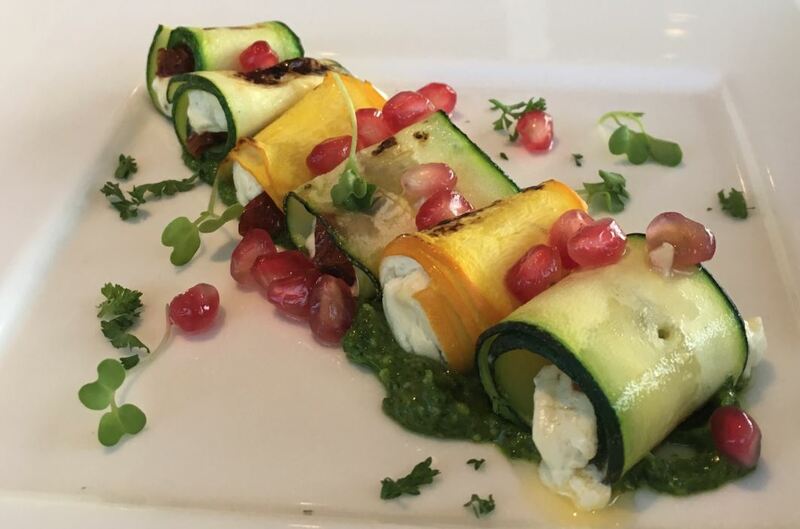 The zucchini roulades tasted as pleasant as they appeared. 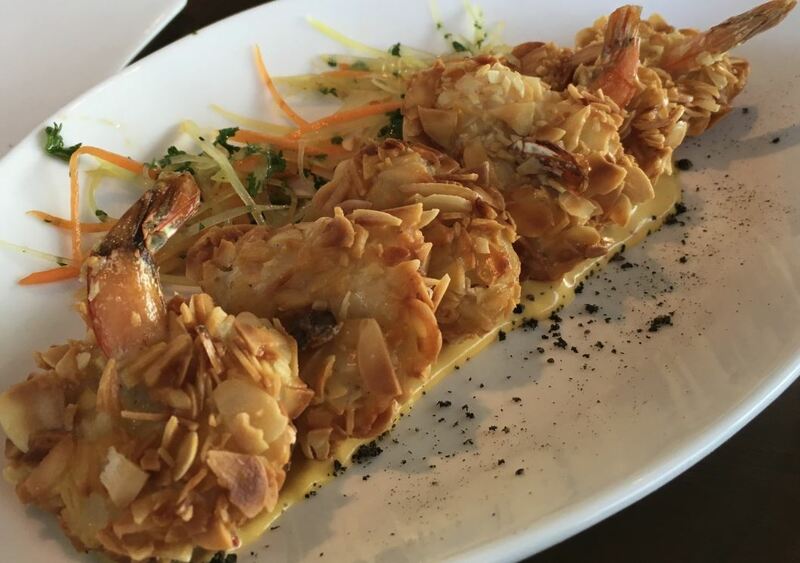 The prawns were well cooked, easy to cut into, and were coated with almond flakes. Obliging the sweet tooth, the opera by the sea, was sublime. A delightful blend of coffee and chocolate, the pastry is worth cheating on that ‘strict’ diet for. 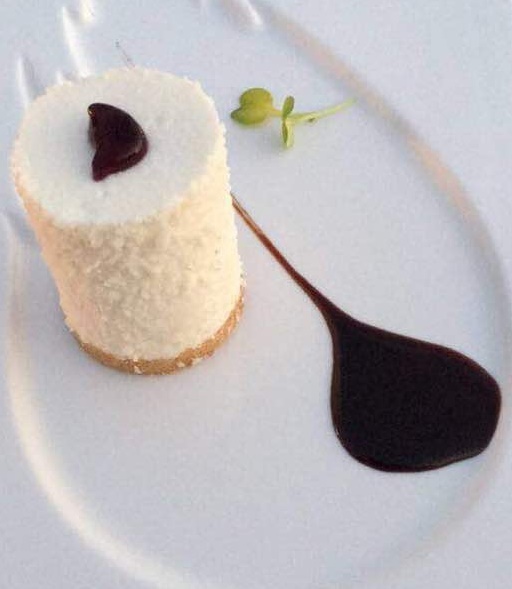 Avid fans of the cheesecake, we couldn’t leave without trying this and especially enjoyed how it was served – a cylindrical dollop of the dessert scooped onto the plate. The taste didn’t quite match the presentation, but by this time we were already sold on to the floatel experience and were good to let this one pass. The sun had set, the sea link was lit up and we sat back content, enjoying the ambience. Only a month since it opened, AB Celestial was already buzzing with the enthusiasm that is typical of gourmands, and a healthy interest from the rest of the city. Make your way to Bandra to get an in on this before it shuts for the monsoons. We promise you’ll be making your way back when it reopens with a larger menu and many more exciting dishes to pick from!